High quality mini microchip, 1/3 smaller chip and needle than previous kinds. Readable with all universal scanners and most Avid scanners. Need 20 or more? Check out our bulk-discount packs of 20 or 100 instead! Microchip technology has come a long way! US Standard frequency 125 kHz OR International ISO 134.2 kHz, your choice! packs of 20 and 100 chips! 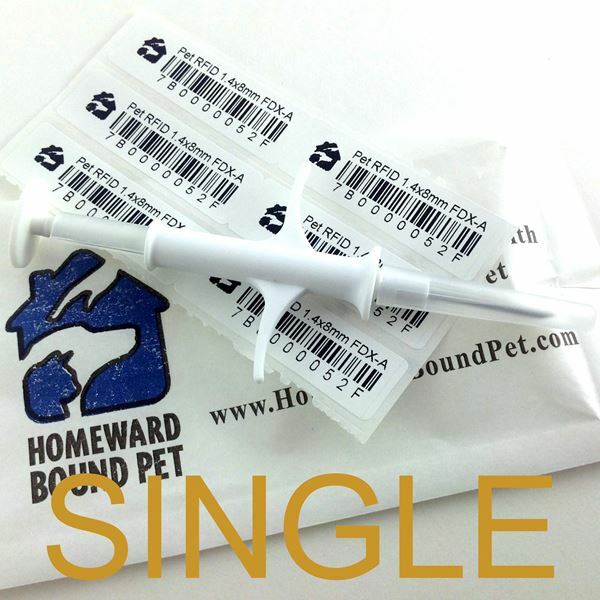 Do you need a vet's prescription to buy microchips in a syringe? Customers in DE and the US Virgin Islands must email us a vet's prescription for this product. Customers in CA, CT, IL, ME, NH, NJ and NY may need a prescription if ordering 10 or more of this product. You are solely responsible for following the laws of your state. We reserve the right to refuse any order that may violate any federal, state or local laws or regulations. Need more activation cards for your customers or clients? Order here, completely free! 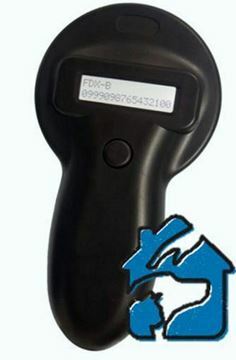 Our new microchip scanner is affordable, reliable and accurate! It reads all standard 134 and 125 kHz microchips.